Silicon based technology encounters scaling parameters that prohibit the advancement of transistor technology. Graphene nanoribbons (GNR) and carbon nanotubes (CNT) are often considered the predominating devices to replace silicon technology. Carbon nanotube field effect transistors (CNTFETs) are considered the most promising devices because of their most interesting properties such as high current carrying ability (∼ 1010 A/cm2), excellent carrier mobility, scalability, high reliability for elevated temperature operation, and negligible leakage current. In this paper, a comparative analysis of CNTFET and graphene nanoribbon field effect transistors (GNRFET) is presented. The results of simulations are presented, and comparisons of devices are done based on different parameters listed as ION/IOFF current ratio, trans-conductance, and inverse subthreshold slope using NanoTCAD ViDES. After simulation, it is shown that CNTFET offers better results for ION/IOFF on the order of 106, subthreshold swing (SS) as 74.4 mV/dec, and transconductance as 7.6 μS. Further the effect of oxide thickness and dielectric constant has been studied for both FET devices. At the end, it is concluded that CNTFET offers better simulation result than that of GNRFET. F. Prégaldiny, J. B. Kammerer, and C. Lallement, Compact modeling and applications of CNTFETs for analog and digital circuit design, in 13th IEEE International Conference on Electronics, Circuits and Systems (2006). https://doi.org/10.1109/ICECS.2006.379967. 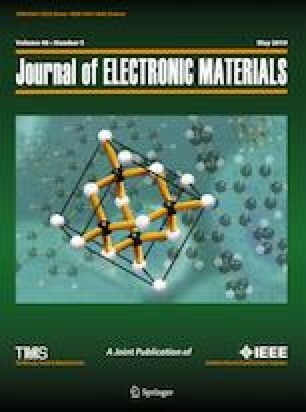 G. Fiori and G. Iannaccone, 3D Poisson/NEGF solver for the simulation of Graphene Nanoribbon, Carbon nanotubes and Silicon Nanowire Transistors, NanoTCAD ViDES (2016). https://nanohub.org/resources/vides.